Body Needs offer an impressive range of health and beauty treatments and is open to men, women, members and non members. Our experienced Beauty Therapist provides a comprehensive range of relaxing & holistic treatments which include facials, massage, Indian Head massage, manicure, pedicure, waxing, and various other treatments. Appointments are not always necessary but we do recommend that you book in advance. We also do the ‘Universal Contour Clay Body Wraps’ – the sea clay body wrapping process with a guaranteed inch loss! 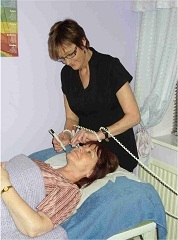 Please see our beauty leaflet (pdf format) for prices and the treatments we offer. Body Needs offer Gift vouchers for that special occasion.